Sculpture Size: 14.25 X 8.25 X 3.5 in. 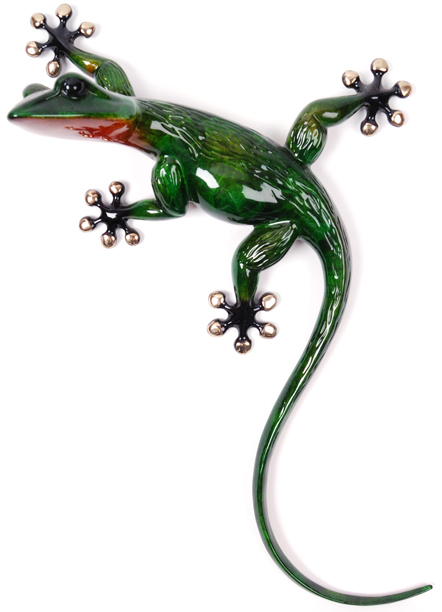 “Mamacita” is one of the Frogman series of terrific gecko bronzes designed to hang on the wall. This beautiful gecko is with child, or with lizard, if you please! Her little belly droops a bit, but that’s only natural. Her patina is a rich green with a red underside, and she has interesting striations. Completely unique, completely charming, completely Cotterill!